In his meetings Gaia shows clearly and simply how self-realization or liberation are lived right here and now, without packaging these into difficult doctrines or strenuous exercises, which would require dedication and discipline. His answers are spontaneously clear so that the audience is fully aware that they themselves are just experiencing the freedom they have so long awaited. It can be experienced in quite a playful way that nothing needs to be done to achieve liberation. The search ends. Deep-seated trauma and tensions of any kind can be solved through methods of Somatic Experiencing or Essential Healing that Gaia also uses in his satsangs. This can be achieved even more effectively in one-to-one sessions. 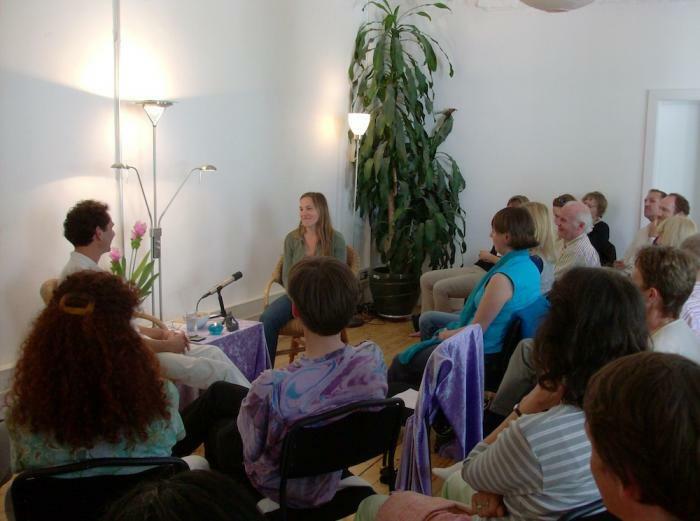 The intensives are a whole-day event with a combination of satsang and essential healing. See our schedule for the next planned Intensive. It is also possible to make a reservation for a private meeting with Gaia, you can book a telephone session or see him in private, please send an email: Gaia. He will get in touch with you as soon as possible. "We just meet here to remember the essential. It is most simple to be. Nothing has to be done."